Join us on June 6, 2014 from 8am - 5pm for this great event! EDUARDO SALAS is Trustee Chair and Pegasus Professor of Psychology at the University of Central Florida (UCF). He also holds an appointment as Program Director for Human Systems Integration Research Department at UCF’s Institute for Simulation & Training. 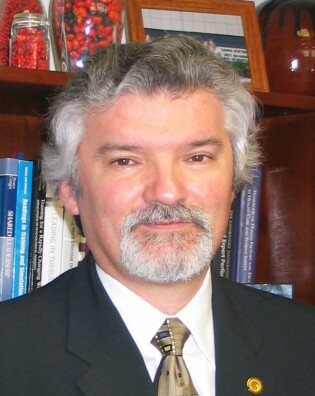 Over the last 30 years, Dr. Salas has served as a principal investigator for numerous R&D programs focusing on teamwork, team training, simulation-based training, human-to-human and human-to-automation systems, decision-making under stress, safety culture, socio-technical systems, learning methodologies, trust development and performance assessment. He is the past President of HFES and has served on the Executive Council. He is also a Fellow of the American Psychological Association's (SIOP and Division’s 19, 21 & 49), HFES and APS. **TOUR INFORMATION** 1:00 - 4:30 Local tours. Click here for more information and to register. 7:00 - 9:00 Dinner at Lupe Tortillas.